Definitely a classic! Shrimp cocktail is so easy to make, you probably wonder why you don't make it more often. 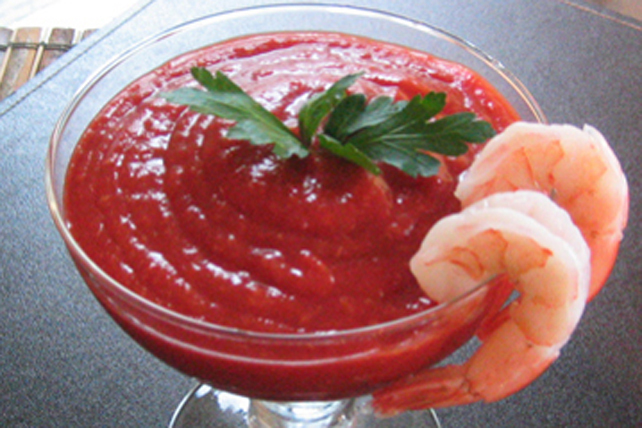 For a restaurant feel, spoon the sauce into a wine or martini glass, garnish with parsley and hang the shrimp on the edge of the glass. Mix all ingredients except shrimp until blended. For Southwest flavour, stir 2 Tbsp. chopped fresh cilantro into chili sauce mixture before serving. Or for a creamy consistency, stir in 1/2 cup light sour cream.